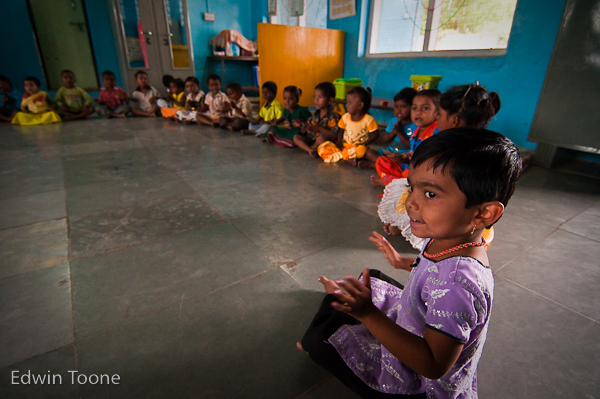 Among the many things that CRHP does a pre-school for local kids is offered. ? ?Most of these kids are from very poor homes and would not go to school at all if not for this program. ? ?The idea is that if you start them young they will keep going to school as they get older. ? ?In order to make sure the kids come each day the teacher goes to their village and collects them in an old yellow van. Once at the school the one teacher manages 50 kids with games and lessons. ? 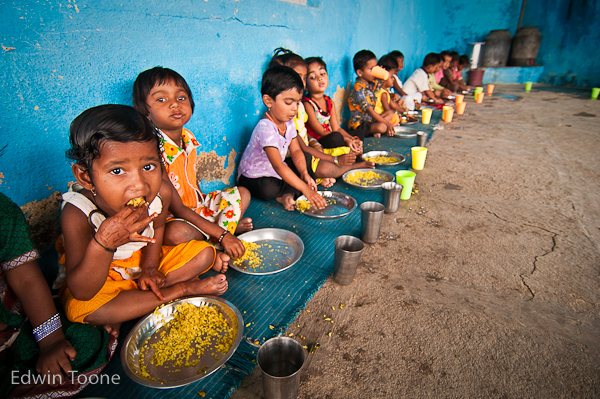 ?Two meals are given during the school day because most of these kids might only get one meal at home. ?? These kids may not have a very bright future but at least they are given a chance with a program like this one, plus, they have so much fun at school! Photos:? ?A bath before school, Walking to the bus, The little yellow school bus, Songs, Food yum!, Playtime.